To understand the real name of our messiah and savior, we first need to establish the fact that the messiah was born in Israel with the Hebrew language being the language of his birth place and him himself being a Hebrew from the tribe of Yahudah (Judah). I will like to keep this article simple and basic for all to be able to comprehend. So what was the name given to the messiah at his birth? Certainly it couldn’t have been jesus because the language of his birth was Hebrew. We therefore can establish for sure that the true name given to him at birth was in Hebrew. What Was His Original Name In Hebrew? The original Hebrew name given to the Messiah is Yahusha–meaning; The Father Saves or Salvation is of the Father. 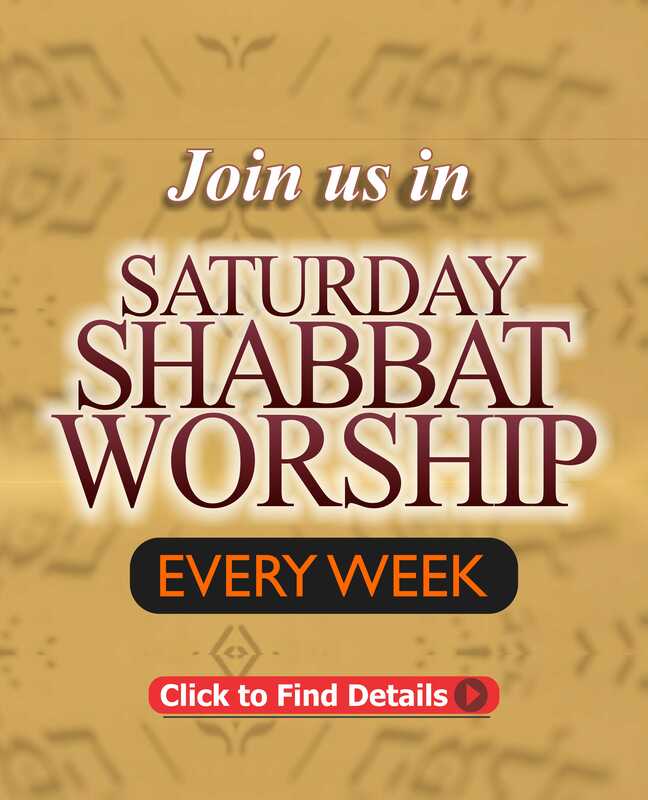 The name of the Messiah is a combination of two powerful words; YAHUAH (The Father), here shortened as YAHU and SHA – Hebrew word for salvation. Observe that the name of the Messiah has a deeper meaning, which pointed to the father, our father, the creator. There are other arguments as to what is the correct pronunciation with many scholars proffering; Yahusha, Yeshua and even Yehoshua. However this is not subject of this teaching as clarification would be made in further articles in the series. What is however indisputable and without contention is the fact that the name Jesus was non-existent at the time of his birth. Let us bear in mind English language has no letter J until 1628. So Mary never called her son Jesus. What is also incontrovertible of a truth is that the name of the Messiah – Yahusha (Which means The Father saves or salvation is of the father in English) does not in any way or manner translate to JESUS! More so, while a name could be translated, it loses its value and meaning once it becomes mistranslated – Meaning that it loses its original meaning. This is exactly the case with the name JESUS. JESUS is a mistranslated name which bears no meaning or value to the original name – Yahusha which means The Father saves! Do You Get it? The name Jesus was a mistranslation of the true name of the savior. A generational lie that has remained because we have accepted it as a truth. But no matter how long a lie remains, it never actually means its become truth. A Little Illustration – My original and true name is Igbo Language is Ifechukwu. A combination of two words; Ife (Meaning Light in English) and Chukwu (The Creator). Hence my local and tribal Igbo name; Ifechukwu correctly translated in English means “Light of The Creator”. The meaning of my name could still be further translated to Chinese, Japanese and other languages, as many as possible. But it would never lose its true meaning. It would become meaningless, null and void the moment its meaning and source becomes mistranslated. HOW THE NAME “JESUS “CAME TO BE. Did you know that there is no “J” in Greek or Hebrew or Latin till date, nor was there a “J” in English for nearly 1700 years? The name “Jesus”…was not used until after the invention of the printing press and the letter “J” in the mid to late 17th century, a mere 400 years ago. That means the apostles never even heard the name “Jesus”! So, what was the name of salvation before 1700CE? That will be covered later, but for now, you need to understand the origins of your beliefs, and why it makes a vital difference to your personal salvation. There is a lot of literature on the translations of the name of the Messiah Yahusha to Greek. Early on, when the Gospels were being written and the story of Yahusha the Messiah was spreading to the Gentile nations, the story had to be translated to Greek. 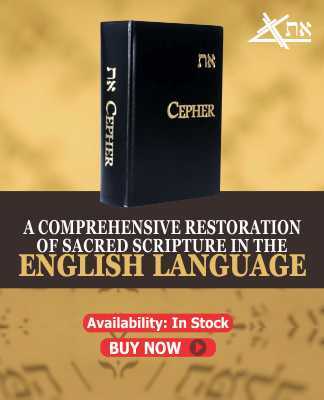 The summary of all the literature is the fact that the true name of the messiah lost both its meaning and pronunciation as it was translated to Greek. In translating the name of the Messiah – Yahusha from Hebrew to Greek, as the scripture was written, it was mischievously mistranslated; “Iesous” in Greek. We know for a fact that “Iesous” was not then the proper way to translate the “intent” of the name given the Messiah that ‘Yahuah is salvation’ even in Greek or Latin. The Greek word for “salvation” is Strong’s entry 4991 soterion it is not sous. If the name was handled properly in Greek by the uninspired pagan scribes, it would hold true to the “meaning” of the name as given by the Angel to Joseph and Mary; then “sha” or salvation would have been translated “soterion or soter” not “sous”. So we see a gross mis-handling of the Messiah’s name at best but when you look back in history we see a Hellinization of the name with the intent to give glory to the pagan god Zeus. So both the prefix of “Ie” and the suffix of “sous” are in error and are mistranslations of the Hebrew name Yah and sha. If the Greek translators handled the Hebrew name properly it would have been translated into Iasotera which would be Yah-savior in Greek. Around 400 A.D. the Latin language became the predominate language of Christianity and the Greek versions of the New Testament were translated to Latin. The Latin Bible, or Vulgate as it is called, also transliterated what was left of Yahusha’s Greek name by bringing across the same sound of “ee-ay-soos”. This was easy, because all of the Greek sounds in this name are also made in Latin. The letters of the Latin alphabet are different from that of Greek but virtually identical to English. The new transliteration of the Greek name “ee-ay-soos” became written as and was identical in pronunciation to the Greek name. This Latin spelling and on-going pronunciation dominated the Christian world for nearly 1,000 years. Please note again that this name completely has no meaning to the true name of the Messiah – Yahusha which means Salvation is of the Father or the Father saves. It was more of a translation of convenience, to suite the tongue and pronunciation of man. It totally has no meaning to the true name of the Messiah. TRANSLATION FROM LATIN TO ENGLISH. Meanwhile, the English language was still evolving. Before the 12th century, the letter ( J ) did not exist in the Old English language. The sound the letter ( J ) makes has never existed in the Hebrew, Aramaic, Greek or Latin languages. This fact is why no one in Yahusha’s day could have accurately pronounced the English name Jesus. Sometime during the early 12th century, ( J ) began showing up in some obscure dialects of the Middle English language. Over the course of the next 500 years, infatuation with the new sound caused letters like ( I ) and (Y) in the English language to be replaced by a ( J ). This was especially true of male names that began with ( I ) or (Y) because the hard sound was, again, considered more masculine. Names like Iames became “James”, Yohan became “John”,and so on. During this period, in 1384 John Wycliffe translated the New Testament to English for the first time. His only source was the Latin Vulgate. Wycliffe continued to use the Latin spelling and pronunciation of Iesus. The printing press had not yet been invented and only a few hand-written copies of Wycliffe’s Bible were produced. In the 1450’s, Gutenburg invented the printing press. Then in 1526 William Tyndale translated the New Testament to the English language from the Latin Vulgate along with the additional help of some ancient Greek manuscripts. Tyndale wanted the Bible translated into the language of the common people and many copies of his translation were printed with the help of the printingpress. Tyndale was the first to use the letter ( J ) in the spelling of the name . This new spelling in the hands of many marginally-literate English commoners soon became pronounced by the general public as “Jee-zuz“. The First ever published King James Bible in which was in 1611 has the name of the Messiah written as Iesus. By theMid 17th century, the letter ( J ) was officially part of the King’s English and the most renowned English translation of all, the King James Bible, was put into massive print around 1628 , complete with pronunciation helps for all proper names including the name of Jesus as we pronounce it today. Every name in the Bible that begins with the letter ( J ), has come to us this same way. Names like “Jeremiah”, “Jerusalem”, “Judah”, “John” and “Jew” are only a few examples. They should start with “Y” and not “J”.At no time in history when these people and places were being written about did there exist in their language the sound of the letter ( J )! 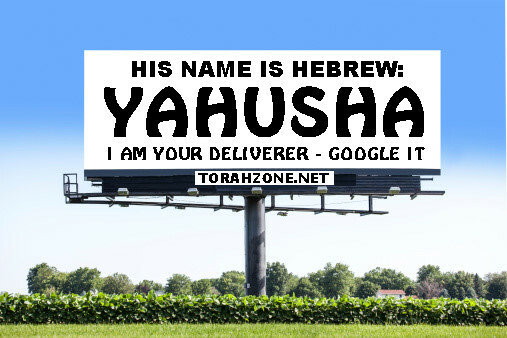 With the new official English pronunciation of the name “Jee-zuz“, Nothing in this name remains recognizable in either the sound or the meaning of the name Yahusha orYeshua as some call the name. I can only conclude that the English version of his name is abused solely because of its harsh sound. Remember, the name Jesus has existed for only a few hundred years. So there you have it. The truth is obvious. The name Jesus is a mistranslated name. It is in no way related to the true name and meaning of the Messiah’s name – Yahusha – Which means – Salvation is of the Father or The Father Saves. There is a meaning to every name. More so, the name of the Messiah. Think about this! Like most people assume, do not say that it doesn’t matter or that people still receive their miracles in the name of Jesus. This doesn’t in any way make Jesus the true name of the Messiah. “You shall know the truth and the truth shall set you free” (John 8:32). WHY IT IS IMPORTANT TO CALL HIS TRUE NAME. Deut 28;10 ( And all people of the earth shall see that you are called by the name of YAHUAH; and they shall be afraid of you. Psalm 61:5 (For You Elohiym have heard my vows; you have given me the heritage of those that fear your name. Acts 4:12 (Neither is there salvation in any other; for there is no other name under heaven given among men whereby we must be saved). May the holy spirit open your eyes and mind to this truth and empower you to walk in the knowledge of this revelation in the name of Yahusha.